One of the greatest myths on the Internet is that you can’t install an Android operating system on an iPhone, or the latest version of Windows 10 on a Mac. We say myth because it’s just that: you can make Windows 10 run on a Mac problem-free using Boot Camp. Today, we’re not going to tell you how to do everything, but rather focus on how to get Windows 10 running smoothly on a Mac. In other words, those key steps so your operating system runs problem-free. 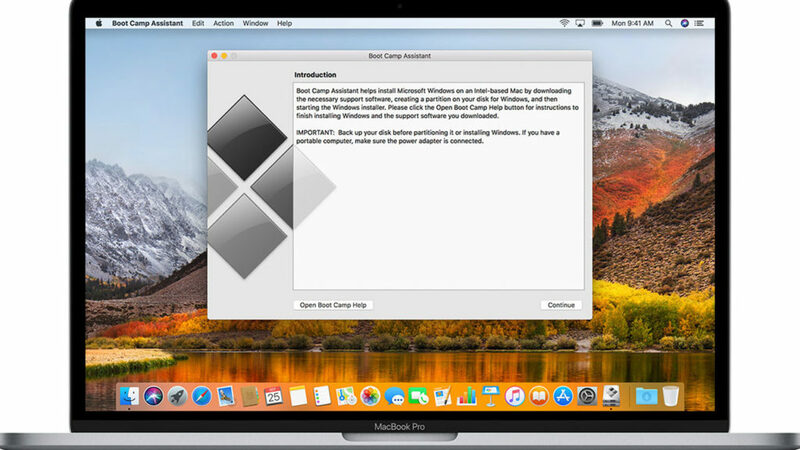 The first thing you should keep in mind so Windows 10 runs smoothly on your Mac is that you need to have compatible versions with Boot Camp. For this, you should have OS X Yosemite or a later version installed. Forget about installing Microsoft’s system if you don’t have this. Starting from here, the next step is to have the compatibility software – drivers, c’mon now – to make Windows 10 run. How do you get these drivers? Well, they’re automatically downloaded when you use Boot Camp Support, which supports the 64-bit version of Windows 10 Home and Windows 10 Pro. Once you’ve completed this step – perhaps the most important one – the next is to get Windows 10. The operating system can be obtained from the Microsoft website as an ISO file or by adding it via a USB drive. However, we’ll make it easy for you, thanks to this Softonic download here. Just as the guys at Apple point out on their official web page, you must be careful with an ISO file or a flash-drive used to install the operating system. Why? Well, because it has to be a base installer, i.e. the system from scratch and not an update installer. This point is very important since it will likely give you errors if not. Another very important tip for Windows 10 to run smoothly on your precious Mac has to do with the size assigned to the partition. When you download Boot Camp Support on your device, it will request a partition from Windows 10. Though on paper it requires about 5 GB, we admit that with this capacity you won’t have much space. So, go higher and configure enough space exclusively for Windows. You’ll thank us later. Now that you have the main requirements to install Windows 10 on your Mac, the question we have is simple: do you dare to take the plunge and have two operating systems on the same device? It’s a good idea, we promise.